One of the highlights of a new school year is the chance to buy new school supplies—from notebooks, to pens and pencils, to eraser and papers. Nothing says first day of school like a bunch of new stuff you can use. Speaking of notebooks, note-taking is an activity everybody is very familiar with. Notes can come in any form, shape, and size. For instance, it can be something we do mentally like remembering to feed our pet every day, or it could come like a planner, with months and dates, or it could also come in dainty little cards for saying thank you. You can see our Sample Thank-You Notes for details. 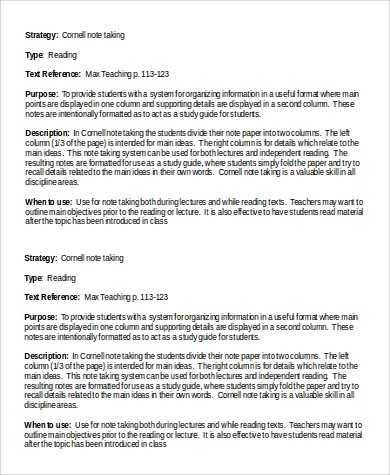 But since we opened up with school, we should focus on a specific sort of note—the Cornell Note-Taking Method to be exact. 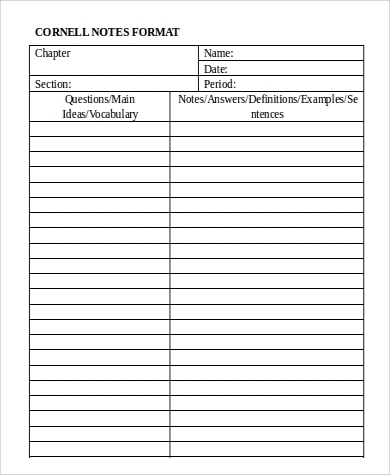 Taking down notes is an activity every student is familiar with. Notes are reminders of the lessons and activities we have in school. They help you a lot in taking exams, making assignments and projects as you can keep track of the things that you need to study and work on. 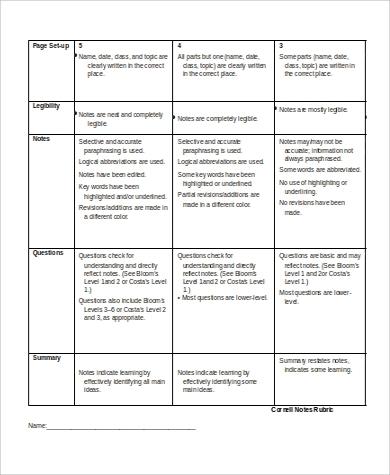 Notes then can affect academic performance. There is this method in taking down notes that is very much talked about these days. 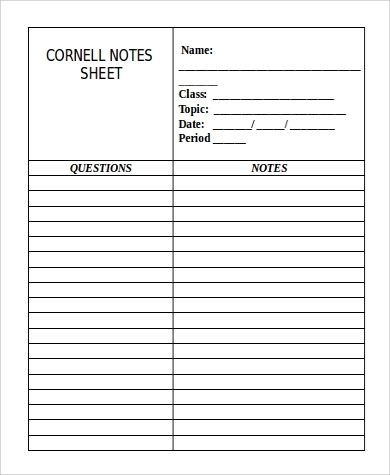 The Cornell note-taking system is a method developed by a professor from Cornell University named Walter Pauk in the 1950s. It has been known to have helped a lot of students study more effectively. 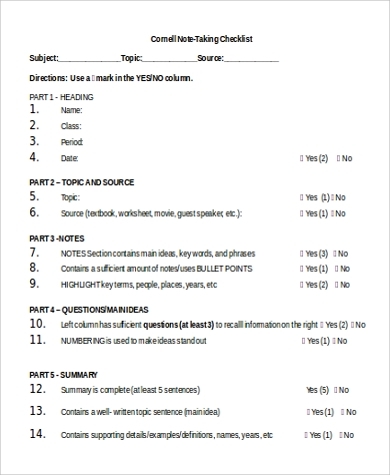 You can record all the facts, concepts, details, explanations—all the things that concern the subject or lesson you are writing about. This can be done when the lecture is still going on. 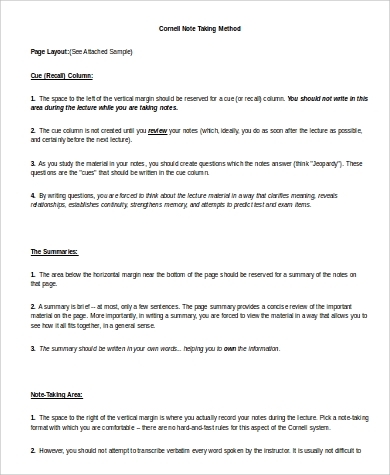 As soon as the discussion is over, you can take out the main ideas or points from the lesson. By doing so, you can observe the relationships between the facts you have jotted down. 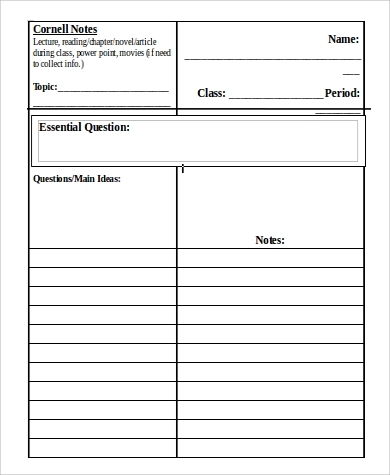 You can then formulate questions from the main points. You can recite possible answers to the questions you have formulated beforehand. This cans also help you go over the facts, memorize and understand your lessons. Thus, you will be ready once the examinations come. You can then reflect or ponder on the questions and answers that you had. You can draw out your personal opinions on the importance of all the facts you have gathered and understood. You can review and revisit. That is what notes are for, right? This sort of note-taking comes with a very distinct structure. You can browse through our samples so that you can see it for yourself. 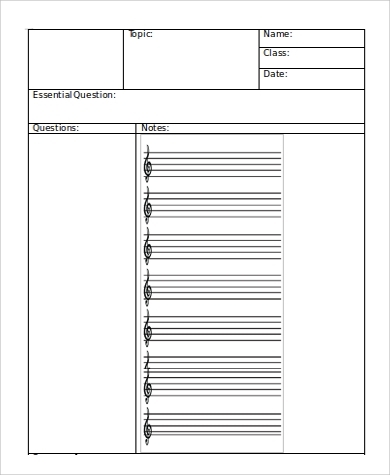 We also have other notes, such as SOAP Notes and Promissory Note Samples, you can also download them for free. To do great in school, one must not only rely on intelligence and talents. Study habits matter as well. I mean, if you really think about it, one of the factors that can affect your grades and your academic performance are your exams and how can you possibly answer them without studying your notes. Learning is a joint effort between the teacher and the student. Remember that your teachers are already working hard trying to master your lessons and courses. As one of their students, you have to give justice to their hard work by doing your share of studying. 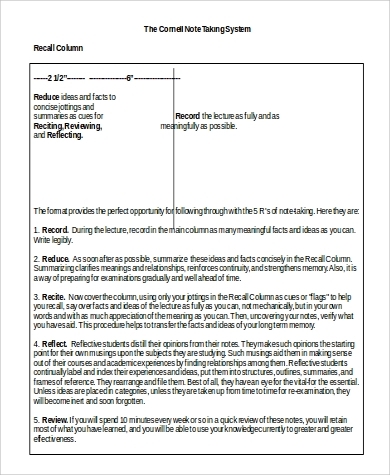 You can start by checking out our free Cornell Note-Taking Samples! Have a blast studying!